Gardening is wonderful, it allows you get outside, get exercise and raise your own food. However there is a down side, bugs. This summer me and my daughter both got Lyme Disease. The study follows me for one year, they draw blood a couple times, do cognitive testing and skin biopsies. My blood test was positive for Lyme. After I started my antibiotic my head aches and body aches started to get worse. One morning close to the end of my three week treatment I woke up with numbness down my right side and stiffness in my neck. My doctor sent me to the emergency room to rule out meningitis. The only way to test for meningitis is to preform a spinal tap and test the spinal fluid. I did not have meningitis but was admitting into the hospital and was put on IV antibiotics for the remainder of my three week antibiotic treatment. I ended up leaking spinal fluid after two spinal taps and had a post spinal tap head ache. Eventually they did a blood patch to stop the leaking and I was discharged. The Lyme bacteria affects everyone differently, some people who have Lyme Disease never have a rash or any symptoms until it is too late. My daughter was bit by a tick the week before I was, we actually saw the tick on her and removed it. She never had a rash, or a fever. Her only symptoms were that she had a headache and joint pain that came and went. Her blood test was negative. However because her symptoms were not going away, we decided to start her on the three weeks of antibiotics. So far so good and after three days of medication she has stopped complaining about the headaches and joint pain. 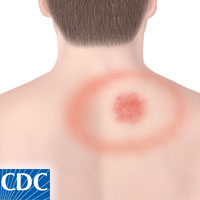 I have been asked many times what my advice is for someone who has a tick bite. I would say to go to the doctor. Make sure you document when you pulled off the tick and when your symptoms started. Even though the blood test is not as accurate as doctors would like, it is better than nothing. If you have a head ache or any symptom that is just not explained, I would have a Lyme Test done. It is better to be safe than sorry. That was the approach we took with our daughter. We would rather have medicated her for three weeks and known we did everything for her we could, than her have life changing symptoms a couple years from now that can’t be treated. I hate bug spray, but it is needed when you live in the North East and like to be outside. I also wear gardening clothes that are long pants and a long sleeve shirt. I refuse to stop gardening, but I know I never want to have Lyme Disease again. I have learned from my doctor that there is a spike in Lyme Disease in both the spring and the fall, just because the weather is getting cooler does not mean the threat is gone. Please continue to be aware of ticks, where bug stray and check you and your family. The first weekend in August, Love it! The weather has been amazing for August, which has been wonderful and has allowed us to be very productive. 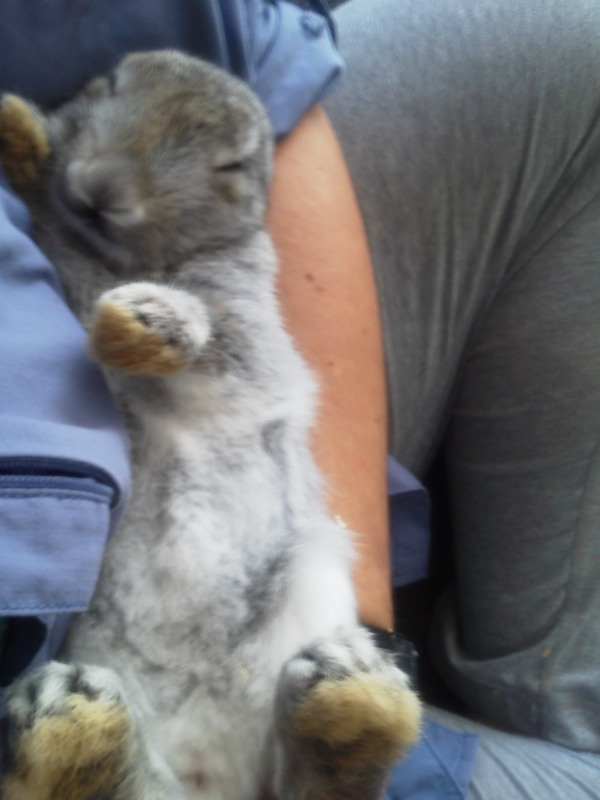 Our bunnies are getting big and it is time to wean them off their mommies. 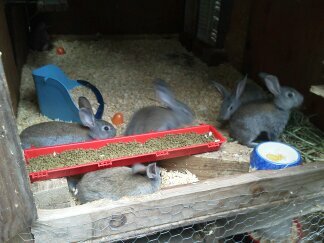 We have turned our unused chicken coop into a bunny nursery. There is enough room for all 15 of the babies to be able to run and play until they are full grown. 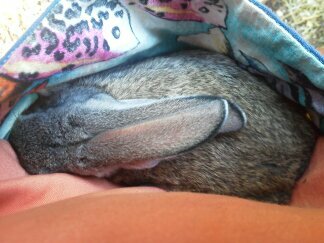 We will be removing the bunnies from their mothers gradually over the next week. So far it is going great and everyone is enjoying the extra space and room at the water bowl. The kids picked the rabbits that they are going to be showing for 4H. These rabbits will get a lot more one on one time than the other rabbits. We want them to be used to being handled as well as used to noises and other animals. Everyone in the family is enjoying the extra cuddle time. 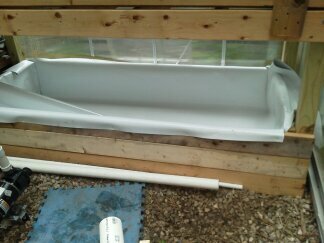 This weekend we also worked on the aquaponics system. Building it is taking longer than we really wanted it to, we were hoping to have it up and running over a year ago, but the supplies was more expensive than we thought. We are also struggling with getting ideas from our heads, to paper, and than to final product. We are learning communication skills that are beneficial to our marriage. I think the important part is we are still married and still making progress on the system, both wins in my book. We are now at the plumbing stage, very frustrating, but hoping to take small steps everyday and keep moving closer to our goal. I will be starting seeds indoors this week for the system, so it needs to be up and running in less than two weeks. I have confidence that we are that close! 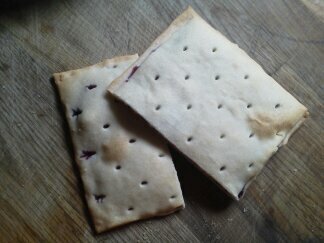 This weekend I also experimented with making gluten-free pop tarts. I used the pie crust recipe from my last post and filled them with the jams that I have made this spring and summer. I baked them at 350 degrees for about 15 minutes, until golden. They are amazing. I can’t wait to bake some cinnamon ones! It was crazy easy and super tasty. We have already eaten them all and I need to make another batch. As far as harvesting veggies goes, we are still going strong with peppers. The tomatoes have slowed down quite a bit and so have the cucumbers. We had our first ever cantaloup today, it was wonderful. We should have let it sit on the counter a day to soften even more, but we ate it in one sitting so it must not have been that bad. Time for me to go have my tea and relax for the night. I hope everyone has a great week.